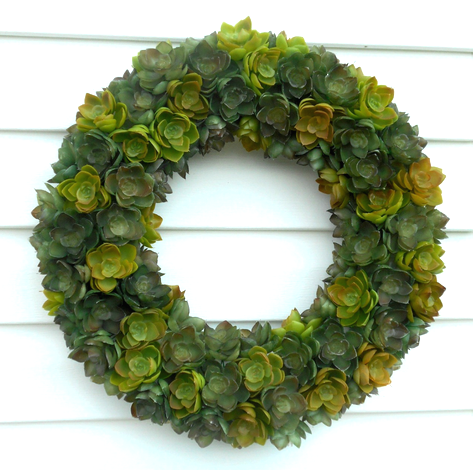 Visit the When Creativity Knocks blog to see how I made this lush wreath with plastic succulents and a 14″ Smoothfoam wreath form – I love how real they look! This entry was posted in Home Décor Crafts and tagged Garden, Green, Wallhanging, Wreaths by Cindi McGee. Bookmark the permalink.